In the course of two days the staff of BD “Sheheni” and “Krakovets” detained two foreigners, who made their way beyond the check points abroad. In both cases the information about unknown persons being seen in the populated areas was given by the local residents. 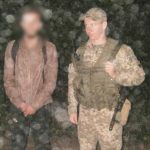 Thus, at night the border guards of BD “Krakivets” apprehended 25-year-old citizen of Algeria, and the next day the detail of the BD “Sheheni” prevented 23-year-old Moroccan to cross the border. Both men had passport documents. So far, there is a complex of actions performed on establishing the circumstances of detained foreigners’ arrival to Ukraine and organization of their illegal trip. The men will be fined or arrested in administrative order for their attempt to cross illegally the state border of Ukraine. he court will make a decision on the case. This entry was posted in Translated Media-News from Ukraine and tagged Algeria, border guards, foreigner, Moroccan on July 28, 2018 by oksana.